Learn about Helprace customer service software for businesses. Includes info on Helprace, free trials, pricing, customer reviews, and FAQs. 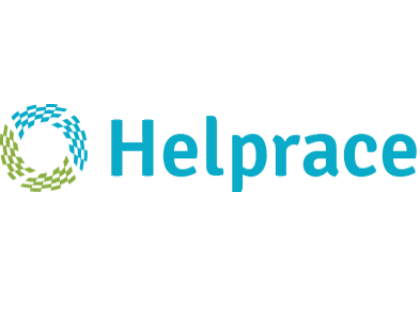 Helprace is a cloud-based customer service software. By combining the functionalities of a help desk and a customer feedback portal, the software provides an easier solution for managing customer-company interactions. Features include feedback tools, ticket status, and ticket tags. Pros: Easy to setup and use. Offers users a cost-effective solution with key features. Responsive and quick customer support. Cons: The forum features need improvement. Lacks key integrations. Bottomline: Great customer service solution that is easy to implement and use. Good customer support. What is Helprace's price range? Helprace plans range from $10.00 to $20.00 per month. Is there a Helprace free trial? Yes, Helprace offers a 30-day free trial. To sign up for the free trial, go to helprace.com and click ' Free Trial' in the right corner of the main homepage menu. What are some Helprace alternatives? Where can I find the Helprace login? Helprace does not have a login option. If you make software or games, Helprace is a really great solution for support forums, issue tracking, wish lists and more. Helprace is a great platform that has all of the forward facing features of a Uservoice, but at a much more competitive rate with diehard customer service. Great guys over there. This is a type of software that can be used by any organization out there. Being a cloud based web application, it works fine across all devices and systems. It makes adding a member/department easier than ever. Personalized help desk and user feedback portal in one simple customer service platform.